Letting your property can be a complex and demanding process. We’re here to take the stress out of being a landlord, ensuring you maximise rental income while walking you through financial and legal obligations. Tafader offers a range of services for landlords to suit all circumstances and commitments. Whether you are letting out your own home while living overseas, or you have a portfolio of properties, we can help. Our reputation with companies and organisations ensures that we are able to find the most suitable tenant for your property for the period that suits you best. We offer comprehensive property management and rent collection services for busy and absent landlords, ensuring complete peace of mind for all our clients during the tenancy. 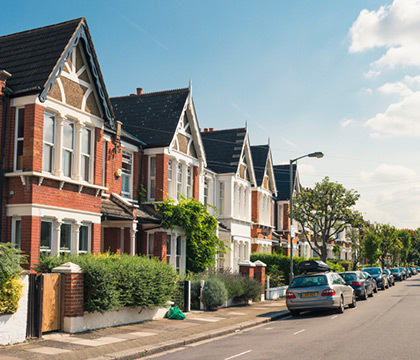 We have provided a brief guide to preparing your property for short and standard rental terms, helping you maximise the possible rental return from your property. Finding the most suitable tenant at the right rent is very important. At Tafaders, our specialist letting office based in Holborn is ideally placed to find the right tenants for your property. As leading estate and letting agents, we have a high profile and are well known to employers, individuals and corporate tenants as a market leader, it’s no coincidence many choose to deal just with us. As well as introducing a tenant, we also offer a service to collect the rent. Most landlords who are in a position to maintain and look after their property during the tenancy still prefer us to collect the rent on their behalf. We receive the rent and send it via BACs to a bank account, which you have nominated. We will normally send you a statement every month or every three months (depending on how often your tenant pays rent). The statement will show all rent payments we have received and any outgoings. We collect rent in line with the terms of the tenancy agreement and will typically contact a tenant within 48 hours of not receiving a rent payment. In the first instance, we usually contact the tenant by phone, so we can take payment card details immediately and avoid any further delays. We will advise you as soon as possible if the tenant has not paid the rent 14 days after it is due. If we still cannot collect the rent from your tenant for a significant period, we might suggest that you consider taking legal action to recover the rent and possession of the property. These situations are extremely unusual and while we would expect to be in regular discussion with you, we cannot issue proceedings on your behalf. Forward net rents to the landlord as well as preparing and submitting regular statements to the landlord and/or their accountant. We act as the Landlord, for the Landlord, removing the stress from renting out a property. Offering a personal and comprehensive service enabling the tenancy to run smoothly at all times with minimum disruption for the tenant and maximum return for our clients. Professionally managed properties are increasingly in demand from both private and corporate tenants. At Tafaders, our Property Management service is designed to relieve you of the commitment of being a full-time landlord, giving you the peace of mind that both your property and your tenants are well looked after during the tenancy. With our experience and knowledge of the very latest rules and regulations, we'll also make sure that all legislation and safety regulations are adhered to, so you can rest easy knowing that your property is in safe hands. These days more and more tenants request managed properties as it allows a more professional service, removing the emotion from both sides. Both corporate and private tenants often have high expectations of the management service when they rent a property, so having a designated Property Manager on hand to take care of the (sometimes lengthy and frequent) phone calls, requests and resulting work can save you valuable time and a lot of hassle! Our Property Management teams have access to a host of reliable, well-priced and fully-insured contractors, suppliers and tradesmen who are usually available at short notice, ensuring your property is not put at risk by unscrupulous or unreliable workmen. All our contractors are regularly vetted to ensure we are providing the very best quality of workmanship and competitive prices. Perhaps preferable to you being called by your tenant in the middle of the night or whilst you are sunning yourself on a far-away beach! Whether it is about ending the tenancy, dealing with the deposit, negotiating the renewal or handling a tricky tenant – our Property Management team will try and relieve you of the worries associated with letting your property. You can still take advantage of our Property Management Services even if another agent has found the tenant, indeed a number of our landlords choose Tafaders to manage their property even if they have found the tenant themselves! What can Tafaders property management team do for me? Receive and pay your rent to you each month together with monthly statements of account to the landlord and/or their accountant. Ensuring all bills, ground rent, service charges and maintenance contracts are paid from rents received. As long as we receive the invoices, we can pay regular outgoings although we will do our best to query any obvious mistakes, it is reasonable for us to accept and pay all demands and accounts which appear to be correct. In particular, we cannot accept responsibility for your insurance cover, or for checking demands for service and maintenance charges. Dealing with breaches of the tenancy agreement. Arrange quarterly inspections of your property. We keep a professional eye on its condition and keep you informed. These visits are not as thorough as an inventory check or a structural survey and we cannot be held responsible for any maintenance problems if your tenant refuses to let us into the property. We can make extra visits if required but we may have to make an extra charge. Keys - when we are managing a property, we need at least three sets of keys before the tenancy starts. We give two sets to the tenant and we keep a set for management purposes. If we do not have enough keys, we may need to get extra sets cut, which you will have to pay for. Arrange professional cleaning services which can be arranged before and after the tenancy on your behalf. This is important before new tenants move in. Organise check-in and check-out written reports to help with any potential insurance claims and deposit disputes. Manage any changeover in tenant composition. Manage any renewal process with the tenants. Arrange the serving of any notices to bring the tenancy to an end. Dealing with dilapidations post-tenancy and repair works as necessary.